December Gallery Hop is on Friday the 7th. 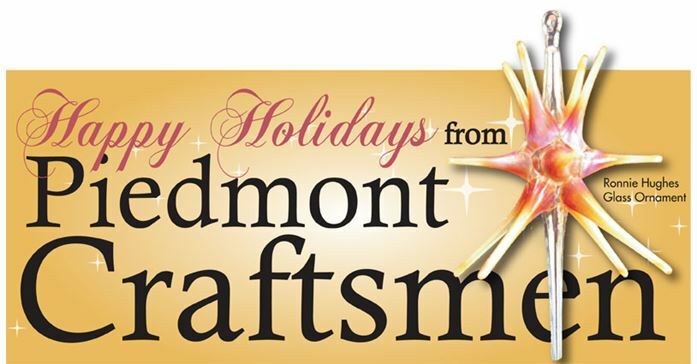 Piedmont Craftsmen will be open from 7:00 till 9:00 PM. The gallery will be open more days and some longer hours in December to provide you with additional opportunities to find that special gift. On Christmas Eve, Monday December 24th, 11:00 am - 3 pm. The Gallery will be closed December 25th & 26th. We will reopen on December 27th with our regular hours.